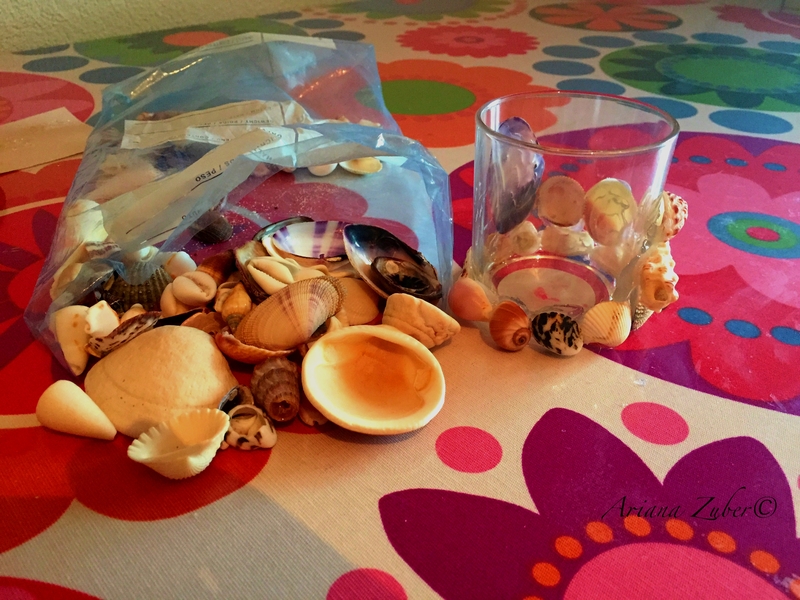 Hello everyone, so I have been collecting seashells from all the trips that we go to. I have from Thailand, Caribbean, and Turkey. So I decided that I needed to get rid of them somehow but I didn’t know how. Then I saw my empty candle holders and it hit me. 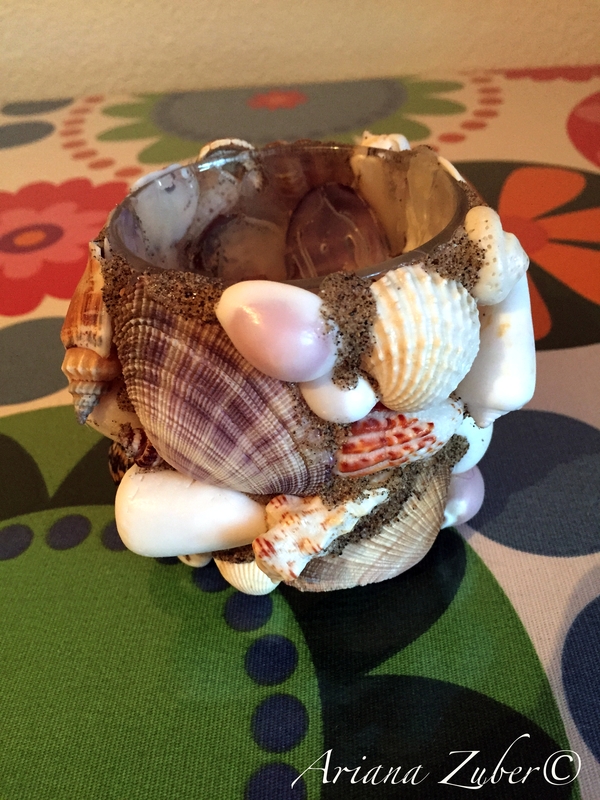 BOOM SEASHELL CANDLE HOLDER how cool would that look?! Plus it is super easy to make and you don’t need much to make it. So keep reading and Ill tell you how I made it. 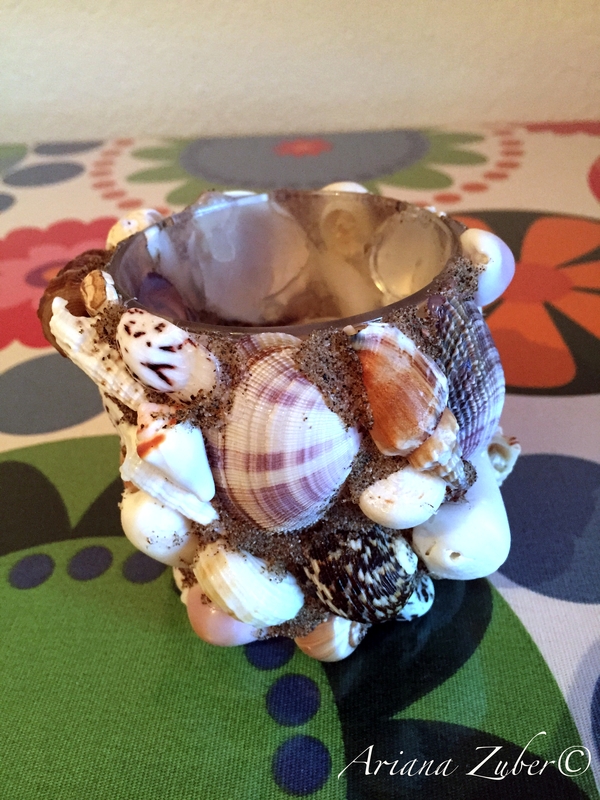 So I started by gluing all of the seashells to my candle holder, and let me tell you.. be careful, I burned my fingers pretty bad doing this DIY.. like super bad. But then I realised that I did not like the glue showing in-between the shells, so I decided to warm up the glue again and sprinkle some sand on top, and this way it looked more beachy which I LOVED. I am kinda obsessed with the beach. Let me know if you decide to make one and show me! I hope that this came to an inspiration to some of you and that it can be a good use for some of the seashells laying out there. Looks amazing! Love it sweetie!!! Being from Florida, living in Minnesota, I severely miss the beach! I’ll have to make one of these precious things now that you’ved made it look so easy.